Treadwell offers conductive grating that drains off intensified dangerous static electricity when grounded. 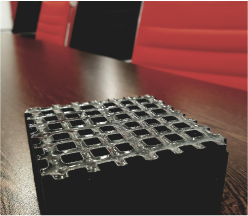 This specialised type of grating structure produces a strong electrical resistance of less than 26 kilo-ohms per ft. Conductive grating also retains the desirable features of conventional fibreglass moulded grating. 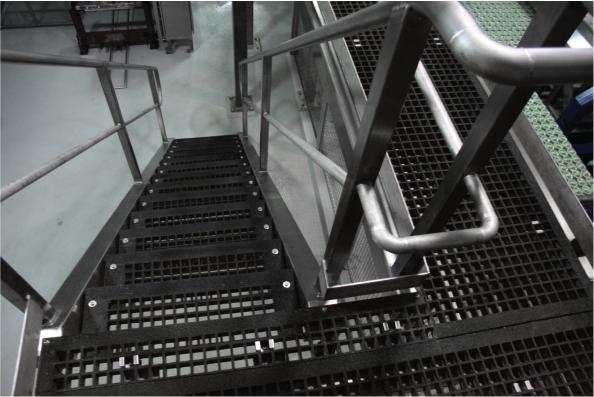 The FRP grating is generally non-conductive and sometimes requires preventive measure when present in an electrically sensitive environment where static electricity can build up. 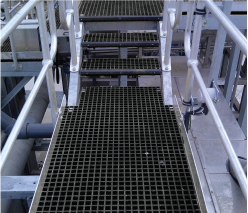 Conductive grating offered by Treadwell has a black carbon surface that is mainly crafted to discharge the static build-up when it becomes a risk factor. When grounded in the right way, the conductive surface provides solutions that can be typically applied in areas where there are highly sensitive electrical equipment, munitions, chemical or petrochemicals present.